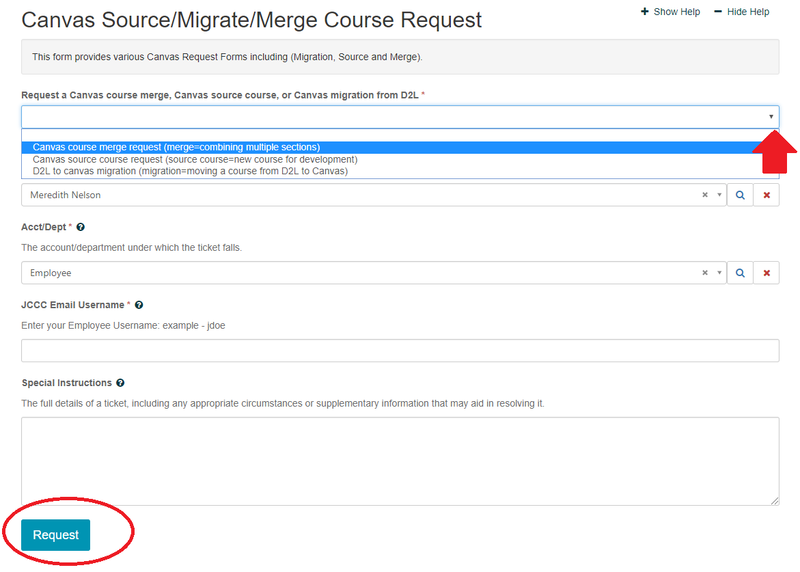 So…you want a source course to play with. Or, you have a few sections you’d like to merge. Here’s how. First, find the Request Form. You can do this 2 ways. You’re done! 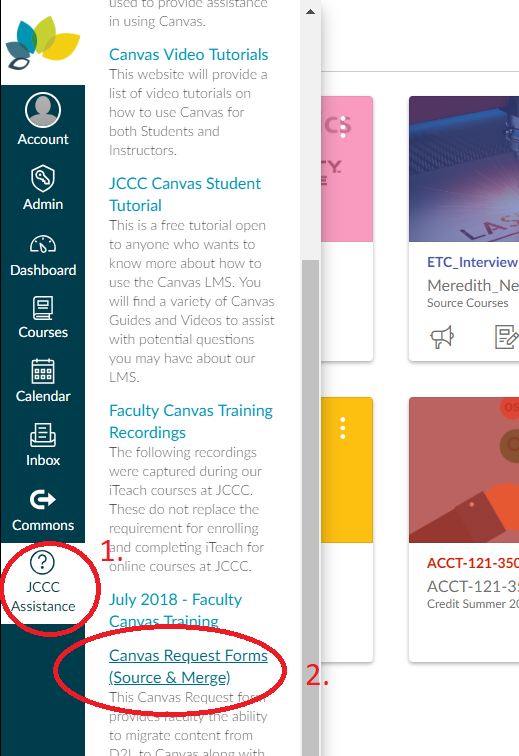 Give the system a few minutes and you should find your new/merged course in Canvas.